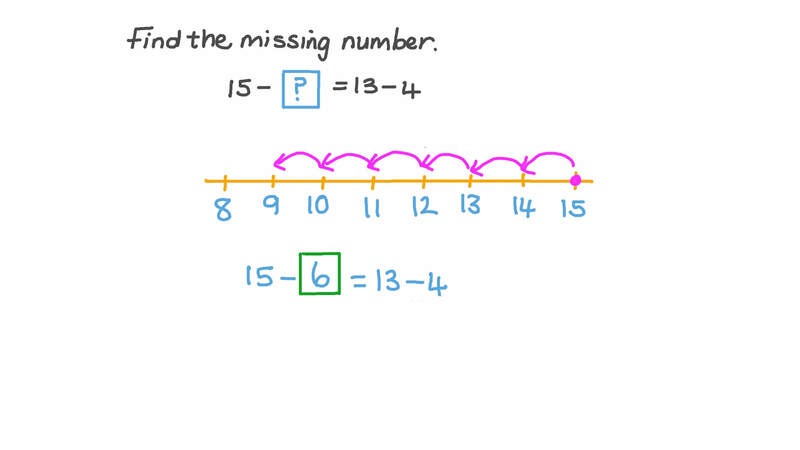 In this lesson, we will learn how to subtract two numbers, using compensation, within 100 by adding to one number and subtracting from the other. James knows a way to make finding 4 4 − 1 7 easier. What is 4 7 − 2 0 ? What is 4 4 − 1 7 ? Think about the difference 3 5 − 1 7 . If we add the same amount to both numbers, the difference does not change. Pick a calculation that has the same difference as 3 5 − 1 7 . Find 3 5 − 1 7 . Mason is learning ways to subtract. Pick the calculation that would tell him the length of the orange bar. He adds 3 to both numbers. Is the length of the blue bar the same as the length of the orange bar? Pick the calculation with the same answer as 2 6 − 1 7 . What is 2 6 − 1 7 ?